If you follow us it is no secret that our passion revolves around art + beer. We've launched an Etsy store to showcase some of our favorite design work and apparel. Our latest addition is a series of 3-dimensional "slide cards", which are assembled from three pieces, allowing the "beer foam" layer to pull up, revealing an area to write your own message. 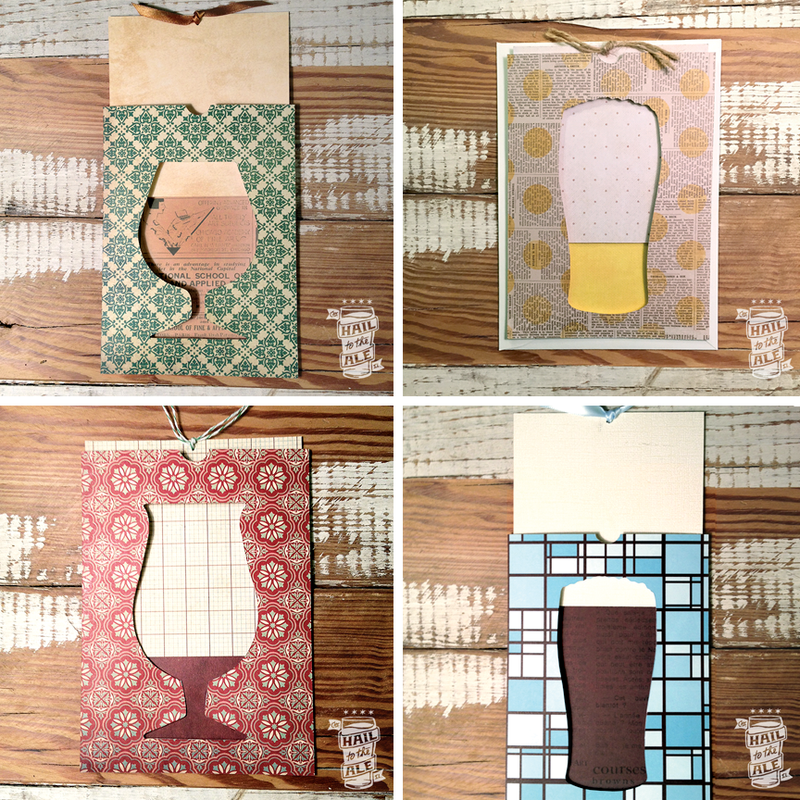 They are a custom design that we have created using various high quality paper, card stock, and embellishments, featuring a variety of beer glassware. All card designs are created and assembled by hand and are not mass produced. For more information and to see the full spectrum of designs please visit our store.